Show off your love of the campsite in style, everywhere you go! 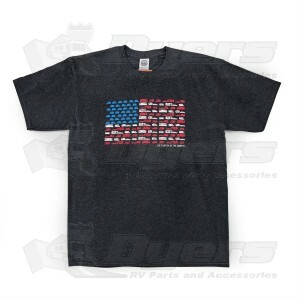 Made from 50% cotton and 50% polyester, this shirt provides softer comfort and a non-restrictive fit. ¾-inch rib knit collar for better wear and durability. Taped neck and shoulder seams for comfort and fit retention. Care Instructions: Machine wash cold with like colors. Tumble dry low. Do not iron, do not dry clean.